We are hoping to buy our own place in the next few years, at the moment we are renting so I am restricted when it comes to decorating so I tend to buy new accessories to refresh our home. I'm always looking for ideas and inspiration for our future home and I thought i'd share a few products and ideas I have for our living room. I actually really want to buy a few new bits and pieces for our current living room to brighten the place up a little. 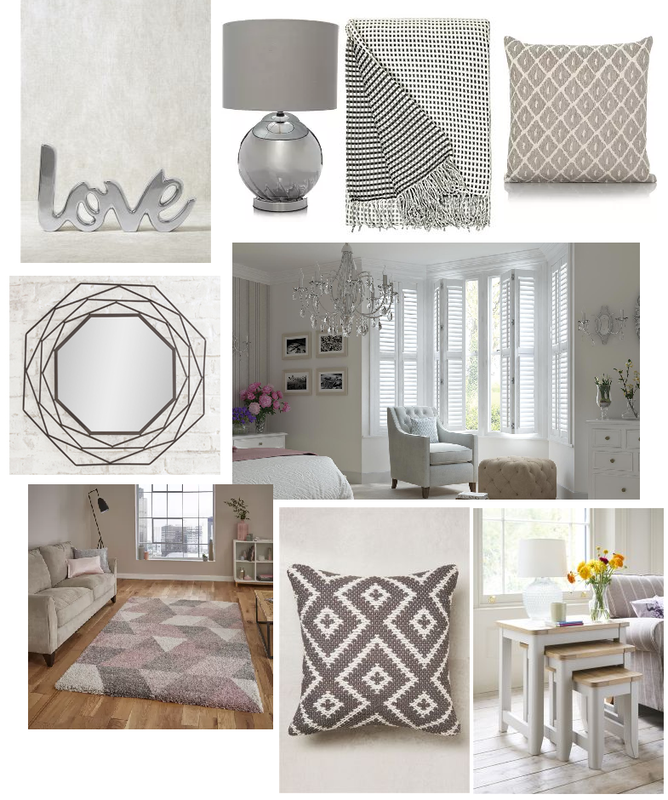 Right now alot of our accessories are black and white as the sofa is black, when we buy our own sofa I want to go for a grey sofa and will most likely have alot of grey accessories. I think grey is really classy and clean. Right now I plan on buying some grey cushions and maybe a grey rug to incorporate it into our current living room and then we can bring these items with us when we move. By using accessories to add colour to a room it makes it really easy to change a colour theme and is more affordable than replacing all of your furniture. I'm loving window shutters right now and think they look so clean and stylish, much nicer than fabric blinds. Thomas Sanderson stock window shutters for any window, I think these Bay Window shutters look so nice, I like traditional bay windows and think the shutters make them look gorgeous. I really want to buy some new furniture and accessories, alot of our furniture is quite cheap, it's pretty much all from Ikea and i'd like to add some new pieces to our living room. This nest of tables would be perfect, they are white with a little wooden top and would look fab in our living room. We have a coffee table right now but I think I'm going to get rid of this to make more room. I'm on the lookout for some nice new bits like a new lamp and some new cushions and a throw. I want to make our living room look cleaner and more modern. We have a lot of black and white and patterns going on and I think I want the room to look more grown up with crisp clean furniture and accessories. I'm always looking out for new bits and accessories to refresh my home and always looking for new stylish ways to keep my home looking trendy, clean and new. Nice interior items. Dusk.com is also a reliable source for luxury cushions.